​IT'S OFFICIAL... BRISBANE'S BEST TRADIE. AWESOME NEWS. Our very own Geoff MacArthur has been announced as Brisbane's Best Tradie. Thanks to the support of Geoff's loyal customers and supporters, he received enough votes in the recent Quest Community News Competition for Brisbane's Best Tradie, to be a finalist. He was then announced as the WINNER of the competition by the panel of judges, taking out the title of Brisbane's Best Tradie. We could not be more thrilled. Well done Geoff - it's a well deserved title! Thanks to all of our AV Made Easy customers and supporters for helping Geoff to take out the win. 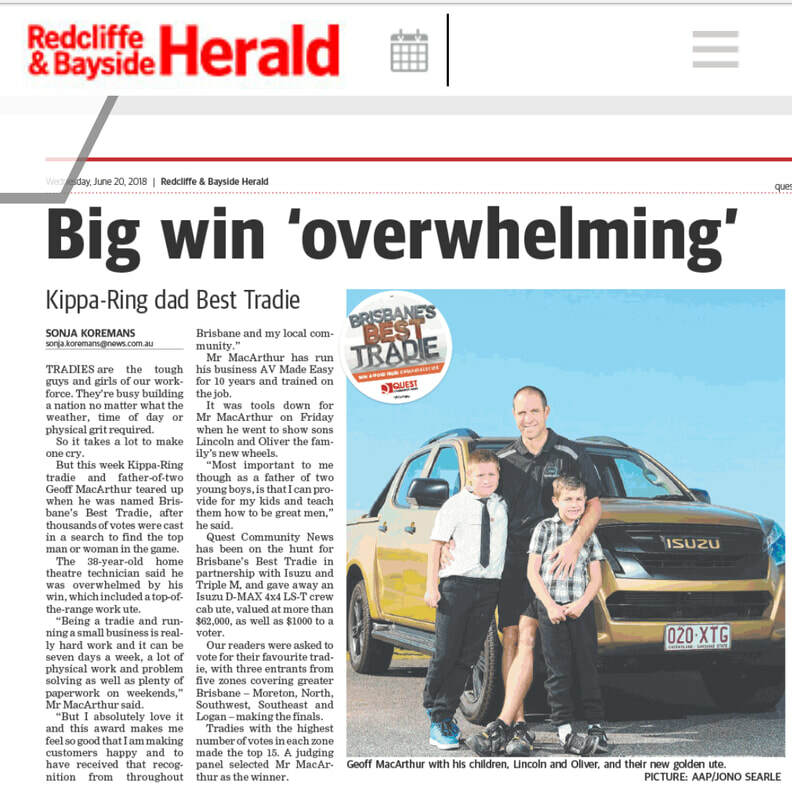 Huge thanks to Quest Community News, ISUZU and Triple M for this opportunity and recognition. And a big shout out to all the other tradies who were nominated or made the finals. It's a tough gig being a tradie, especially if you are running your own business. Hats off to all the hard working tradies out there.